The Short Version: On your mark, get set, date! 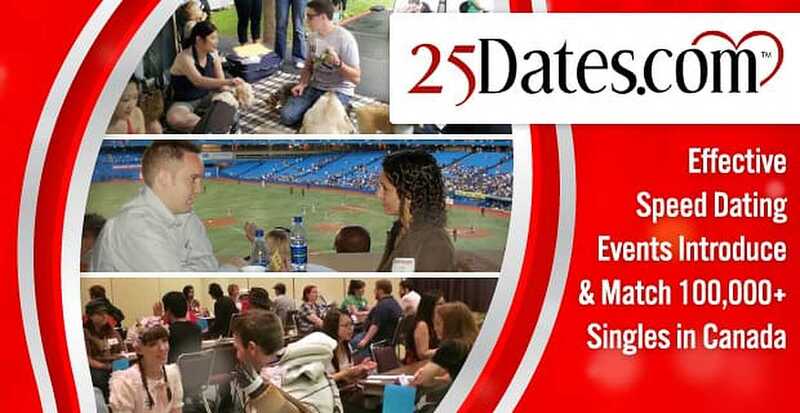 25Dates.com invites Canadian singles to join its professional speed dating events and meet up to 25 people in one sitting. You don’t have to waste your time on a dead-end date with this fast-moving and effective solution. Every three to five minutes, a bell releases you from your current introduction and sends you a new dating prospect to consider. Participants fill out a handy yes/no card for each date and receive contact information for mutual matches once the night is over. This streamlined system makes dating much less time-consuming and arduous for young professionals. Since 2002, 25Dates.com has connected hundreds of thousands of singles in a fun and flirtatious setting. If you’re looking for a standout date, consider speed dating to jump-start your love life with the help of 25Dates.com. After a few years in the dating industry, Ragna Stamm’ler-Adamson, Founder and President of 25Dates.com, was used to watching people flirt and fall in love at her speed dating events. She never imagined it would happen to her. Then one night, on January 10, 2006, she found herself caught up in a love story of her own. 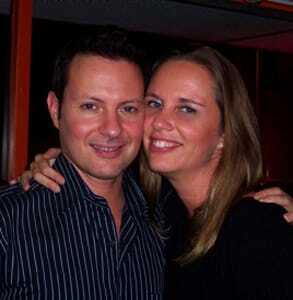 Ragna Stamm’ler-Adamson, President of 25Dates.com, met her future husband at her own speed dating event. It all started because of a no-show, which meant the numbers didn’t quite match up — only 24 women to 25 men. As the speed dating began, she went over to tell the odd man out that he’d have three minutes of downtime. Aaron didn’t know she owned the company and struck up a conversation with her about speed dating. Ragna ended up talking to him for the whole three minutes. She asked him what that was and he replied, “Your phone number.” He’d written her name on his match card and hoped to exchange contact information. Surprised and flattered, Ragna gave him her number. Two days later, they went on their first date. She knew instantly that she’d found something special. In 2008, they brought baby boy Shane into the world. Today, Ragna told us she couldn’t be happier with her family. “Aaron and I have an energy around us when we are together. We lift each other up. We are true friends,” she wrote in a testimonial on 25Dates.com. Speed dating is an effective way to meet many singles at once and find that right person. Ragna experienced firsthand how a few minutes of conversation can start a lifelong relationship, and she continues to run 25Dates.com, Canada’s national speed dating service, to help others forge lasting connections in one night. Since February 2002, 25Dates.com has hosted over 2,000 straight, gay, and lesbian speed dating events for over 100,000 singles in Canada. It’s free to join the database and hear about these fun singles events in Toronto, Vancouver, Ottawa, Calgary, and Mississauga. You’re guaranteed to make a match and have a good time while speed dating with 25Dates.com — or your next event is free! 25Dates.com streamlines dating by condensing introductions to less than five minutes. That means you can meet dozens of people in one high-energy evening. At 25Dates.com’s events, speed daters sit down for 25 three-minute dates or 15 five-minute dates and mark down who they’d like to see again. “I can hardly believe how that one evening changed the course of my life,” wrote Jeff in a testimonial about his experience with 25Dates.com. If both participants say yes to meeting again, it’s a mutual match, and 25Dates.com will send contact information to both people. Then it’s up to you to get in touch and make a date — one that hopefully lasts longer than a few minutes! In fact, the company’s Founder feels so confident in her speed dating events that she promises you’ll find a mutual match there or your next speed dating experience is free. 25Dates.com is the only speed dating company in North America to make such a guarantee. In addition to speed dating, 25Dates.com also organizes singles mixers in select cities. These gatherings usually involve some sort of interactive game to get people talking and break the ice. At mixers, you can take your time and mingle freely in a crowd of approachable singles. This relaxed setup encourages participants to hunt for dates as they please. You can search through the calendar to find upcoming events for your demographic in your area. Whatever your age or orientation, 25Dates.com welcomes you to join speed dating and find love within minutes. 25Dates.com fosters one-on-one connections in a fun, social setting for singles. Ragna has honed her company’s events to be engaging, simple, and flexible. The seasoned team sometimes plans custom events on behalf of corporations or nonprofits in the area. For example, the speed dating service has hosted special events that raise money for charities, including Sunnybrook Hospital, Woodgreen Community Care, and Homeward Bound. Whether the event is hosted in a baseball stadium or themed for sci-fi lovers, 25Dates.com offers a unique experience to thousands of daters in Canada. Over the past 15 years, 25Dates.com has seen phenomenal success at pairing up people in long-term relationships. “It’s certainly worked for me,” Ragna said. “We have so many success stories as well.” Many happy couples have written in to tell the team about their love stories. Another couple from the early days of the speed dating company recently got in touch with Ragna to tell her they had five children and endless gratitude to 25Dates.com for setting them up all those years ago. At a 25Dates.com event, Ragna met her best friend and lifelong partner, so she knows how effective speed dating can be. For his part, Aaron went from a lonely single Googling dating services to a content father showering praise on the love of his life — all because he took a chance on 25Dates.com. This time-tested speed dating service offers Canadian singles a simpler way to date in a fun and hassle-free environment. Speed dating saves you valuable time in your search for that perfect connection. If you’re frustrated with how slow and painstaking dating can be, 25Dates.com can accelerate the process by introducing you to a lot of people in a short amount of time. With a 76% success rate — not to mention the love story of the company’s own Founder — 25Dates.com promises to give singles plenty of quality dating options and promising relationship prospects. If you don’t find a mutual match the first time, you can try your luck again for free. You can’t beat that!